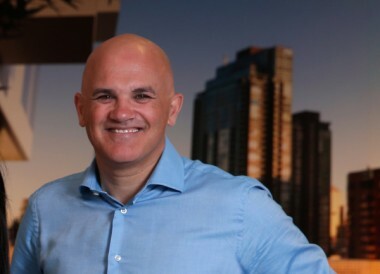 The owner-occupier residential market has a much greater appreciation of sustainable design than the investor sector, according to Melbourne-based developer Michael Piccolo. 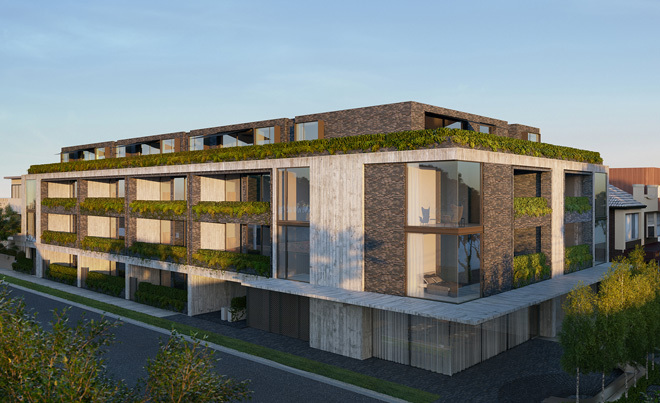 His company’s most recent project, Elwood House, is taking up a new angle on green initiatives, with electric car charging points being installed for all 60 parking bays. Piccolo told The Fifth Estate this was first Melbourne multi-residential development to install the charging infrastructure throughout. The move was inspired by a test drive of a Tesla electric car, and by the growing penetration of electric vehicles in California. He believes it is inevitable their Australian market share will soar. “To retrofit the charging infrastructure would be expensive. I thought it was important to have a sense of responsibility to people in terms of future-proofing,” Piccolo says. The charge points are connected back to the individual electricity meters in each apartment. Other sustainability aspects include solar thermal to reduce the energy consumption of the central gas hot water system, double-glazing throughout, and a building envelope comprising brick and insitu concrete, which creates thermal mass and does not require any paint or other finishes. All of the ensuite bathrooms have been designed with an operable door leading to a small balcony to reduce the need to use the mechanical ventilation, LED lighting has been installed throughout, and a rainwater harvesting system with up to 18,000 litres of storage is plumbed to provide the water for all toilet flushing and landscape and planter box irrigation. “What we are also going to do is explore solar power provision for all common areas,” Piccolo says. The apartments range from a six star NatHERS energy rating to a maximum of 7.8 stars, according to the project’s sustainability consultant, Co-Perform principal Paul Graham. He also observes that residential projects are more likely to target sustainability objectives when they are aiming at the owner-occupier segment. Energy efficiency, Graham says, is particularly a focus as it reduces long-term running costs. He says the goal on projects he works on is always to do better than the minimum code requirement for energy, and also to achieve better than the water sensitive urban design requirements set by Melbourne Water and that form part of local councils’ planning policies. Piccolo says adding sustainability to a development is “not that difficult”. The project has no common amenities. Instead, each apartment has a private outdoor terrace of at least 25 square metres, and interior sizing is also bucking the trend towards smaller dwellings with one-bedroom apartments between 60 sq m and 80 sq m.
The lack of common amenities is compensated for by the location, which Graham says has a walk score of 84, with the beach, cycle paths, retail and parks in the immediate vicinity. Dedicated cycle parking for up to 20 bikes is being installed in the parking area, and there is additional cycle storage space for each apartment. Graham says minimising volatile organic compounds is being strongly targeted in the specifications. Stone flooring is being used throughout living and common areas, and pure wool carpets for bedrooms. Paints and sealants are also required to be low VOC. “If anyone is serious about sustainability, they are thinking about VOCs,” Graham says. Piccolo says the green lens is also being applied to the project’s marketing display suite, which is currently located on the site. “We are looking at recycling it and selling it. We have had a lot of offers from people who want to set it up as a holiday home or retreat. Typically, marketing display suites are simply demolished and become waste,” Piccolo says. He says his company has been implementing a variety of sustainability initiatives over the years, with thermal insulation and rainwater storage two commonly used approaches. 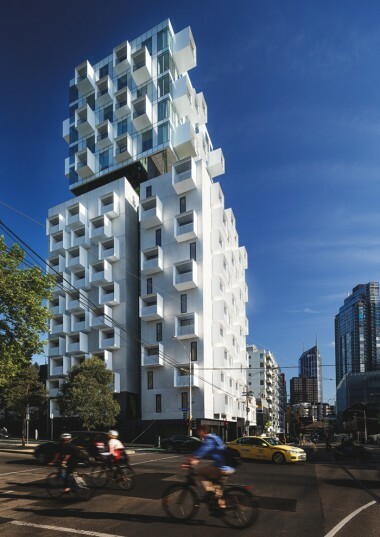 At Upper House on Swanston Street in Carlton, a 17-storey multi-residential project with ground floor retail, there is zero provision of parking for any of the 110 apartments. “We took a punt against the trend of what most developers are doing [with parking], and the building is fully occupied,” Piccolo says. The location is walkable to RMIT, has public transport on the doorstep and access to city cycle routes. “We have proven [in a location like this] you don’t need a car,” Piccolo says. The building also has a reduced energy footprint due to there being no mechanical ventilation for the corridors. Instead operable louvre windows that are automated to respond to weather conditions provide the corridor ventilation for all 17 storeys. “That is typically not done for a high rise, having no mechanical ventilation,” he says.